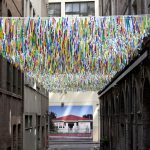 Rush was a temporary art installation consisting of thousands of strips in many different colours, suspended from evenly spaced cables that stretched, one storey up, between the heritage buildings bordering Bridge Lane. 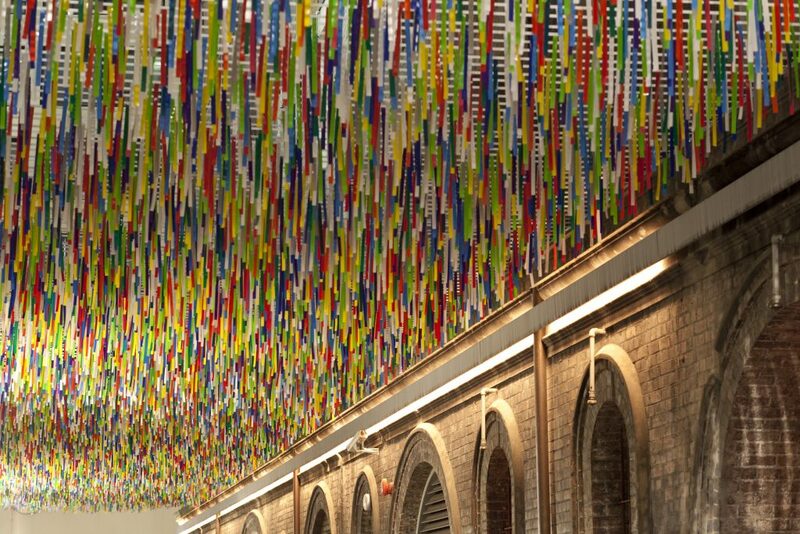 Fluttering overhead and swirling with the wind, the strips created ever-changing patterns of colour and movement. 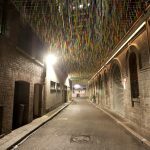 Viewed from either end, the strips created the illusion of a multi-coloured, dynamic ceiling stretching the length of the laneway – but from below, the viewer could look straight through the installation at the looming buildings overshadowing the lane and the narrow strip of sky high above. 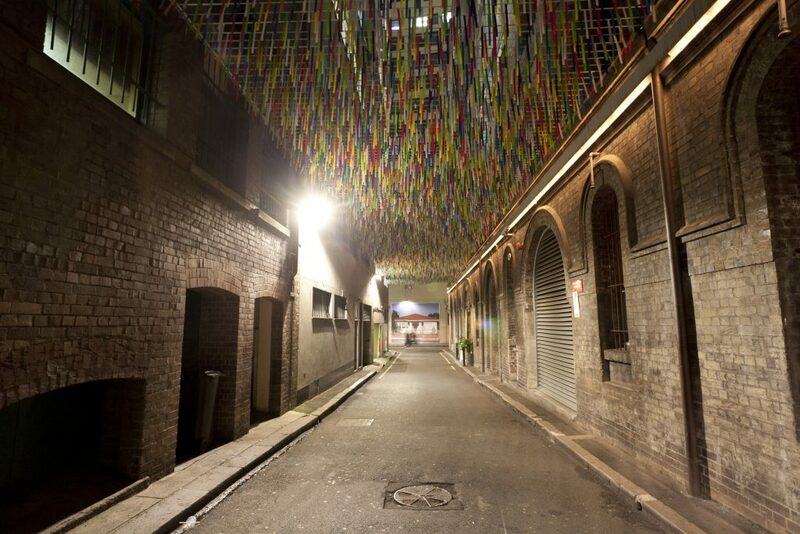 Thousands of long, hanging, strands create a ceiling lining Bridge Lane. 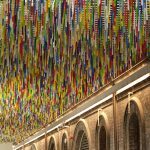 The wind animates and sways the individual strands to create a visually rich, colour-coded sky of incidental aerial abstract patterns whose form shifts and changes according to the breeze. As a luscious, pseudo-psychedelic kinetic painting, it heaves and flows on the passage of the air. Like Alice, those passing will be temporarily transported, immersed in an environment of escape and wonderment. 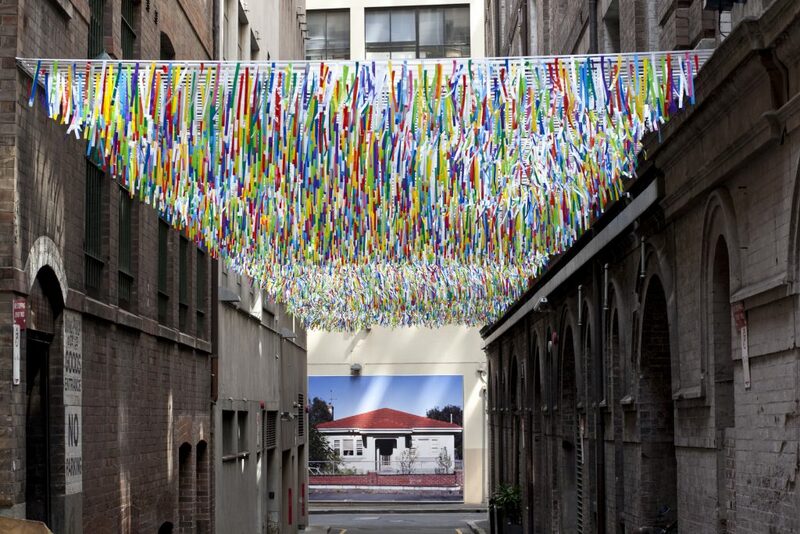 Nike Savvas received a Bachelor of Visual Arts from Sydney College of the Arts and a Master of Fine Arts at the College of Fine Arts, UNSW. 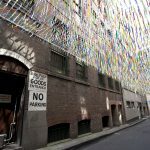 She has participated in more than 250 solo and group exhibitions Europe, Australasia, USA and Asia, and her work is held in several major Australian and international collections, including the Art Gallery of New South Wales, the Museum of Contemporary Art in Sydney, and the Victoria and Albert Museum and The British Library in London. 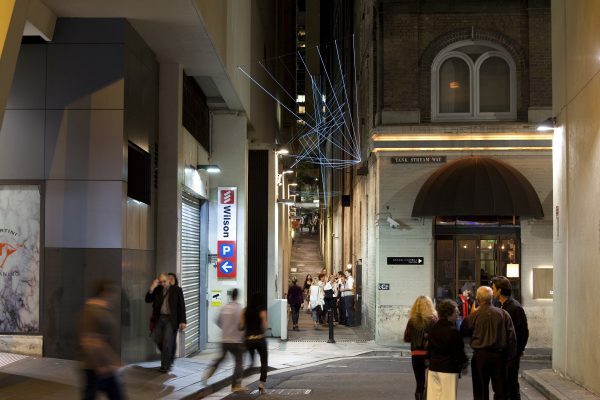 LANEWAYS TEMPORARY ART PROGRAM 3 (2010) - ARE YOU LOOKING AT ME? 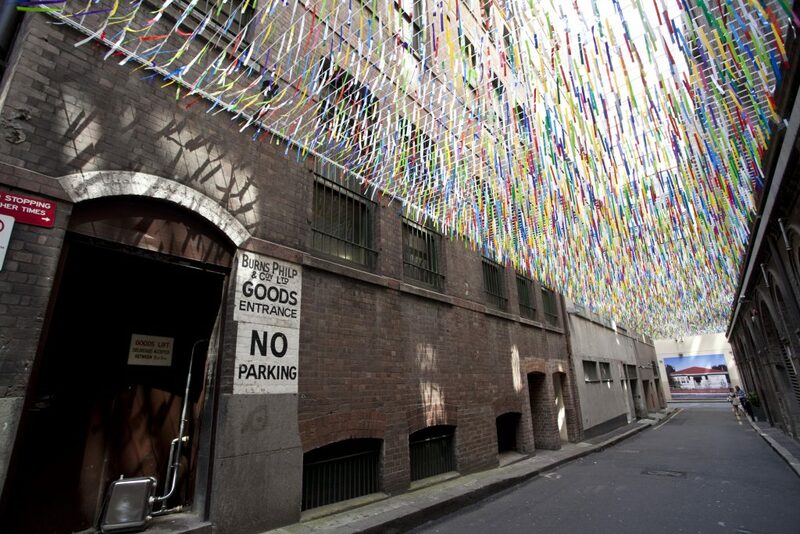 The Laneways Temporary Art Program was exhibited annually from 2008 to 2013. 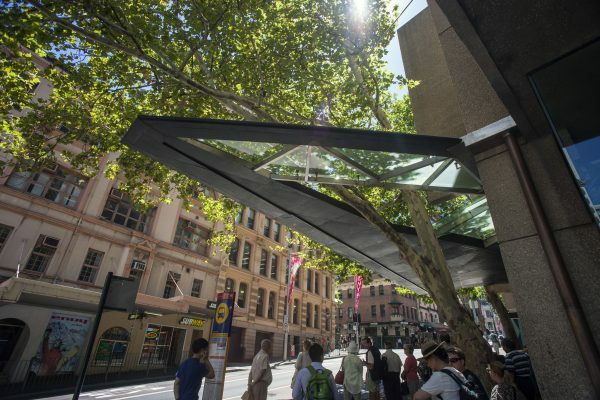 It aimed to activate the laneways, inject new energy into urban life and stimulate creativity and innovation in the city. 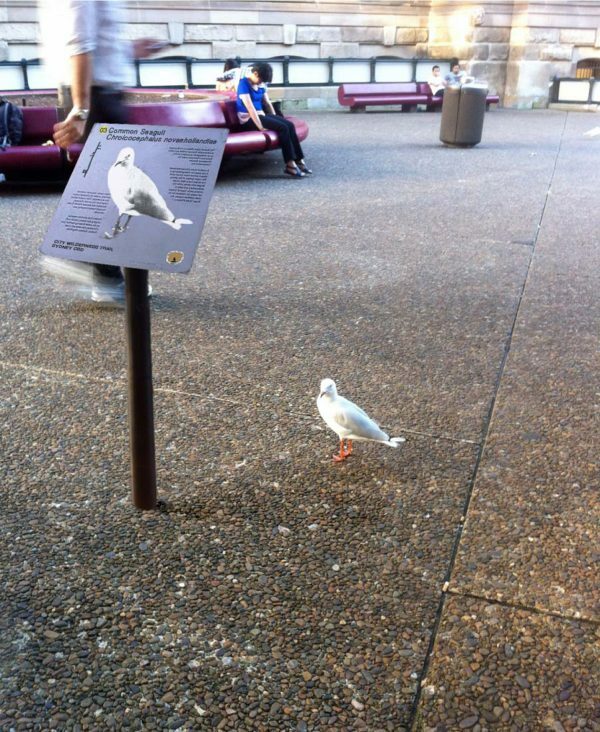 Are you Looking at Me? ran from September 2010 to January 2011. 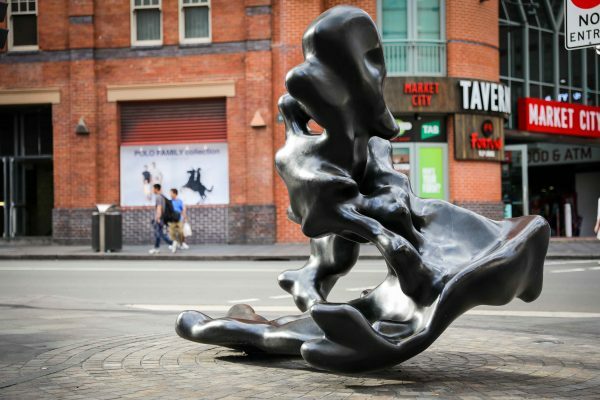 Curated by Barbara Flynn, it brought together the talent of nine of Australia’s most original artists. 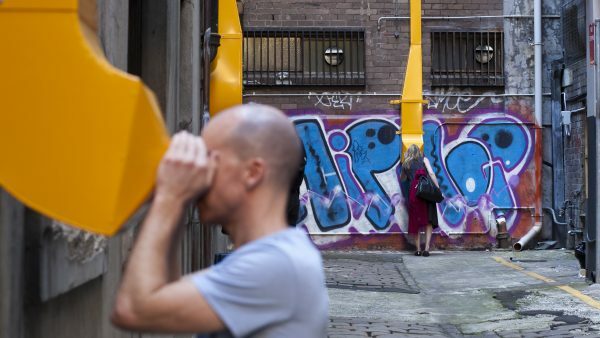 Each artwork was designed to draw the attention of passers-by and get them to notice and appreciate Sydney’s hidden laneways in an entirely new way.